Vikash Kumar belongs to a remote village Mohmmadpur in Nalanda District of Bihar. His 10-member family was completely depending on the earning of his father, Abhay Kumar, who is a farmer. The differenly abled Vikash discontinued his study due to financial constraints. During those days, one of his friends introduced him to the Bosco Academy for Skills and Employment (BASE) program which is sponsored by Accenture. BASE program is designed in a such a way that partially disabled youth like Vikash can be part of the program to get benefitted and empowered. After gathering the inputs from the centre, he decided to enrol in the training without any further delay. Don Bosco Tech counselled every youth who does not any idea about their future goal and aspirations. The counsellor advised him to enrol in the Asst. Electrician Course in Muzaffarpur centre in Bihar. Vikash is very active and curious about this training program. He always keenly observes the instructions and delivery of his trainer in classroom. He was a very hard working, punctual, quick learner and obedient student. During his training, he was residing in the hostel where he was exposed to different life skills. Regarding the training, Vikash says, “Don Bosco Tech provided me an opportunity for lifetime. My parents are really happy with this great achievement. Don Bosco Tech helped many youths like me who are unemployed and living in extreme poverty. I thank Don Bosco Tech from the core of my heart.” He acknowledges the support from Fr. Jesuraj (Centre Head, DB Tech, Muzaffarpur) and his Electrical trainer Mr Gautam during the training. He was grateful to all those who helped him to complete his training at Asha Deep. 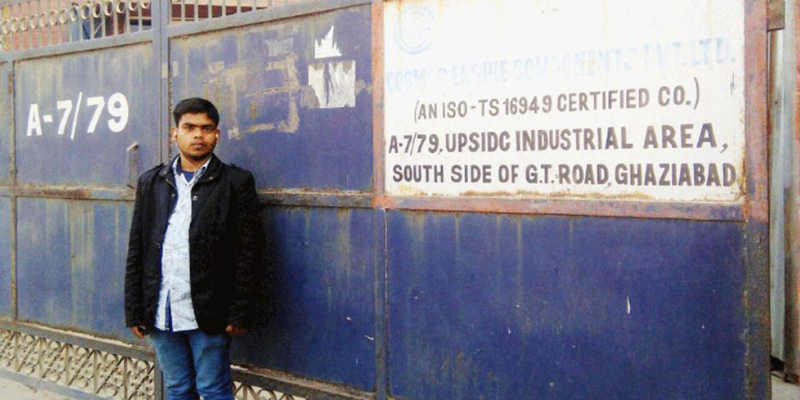 He believes that Don Bosco Tech has given him the confidence to stand on his feet. This training also changed my life style. After completion of the training, Don Bosco Tech arranged an interview with Minda Furuwaka PVT Ltd where he joined as Helper Electrician with salary of Rs 8281 per month. Besides the salary, Vikash gets food and accommodation from the employer. The employer is very happy because of his honesty and positive attitude. Now he is supporting his family. He shared that such short-term skill training program should reach out more and more youth to make them skilled and to provide them job for his livelihood.